Don't put your store into Maintenance mode unless you know the ramifications. We suggest unticking the "Put store on the maintenance mode while installing/upgrading/backup creation" as this can lead to problems with Magento's (un)installation functionality having issues and your store entering maintenance mode. Make sure that Magento compilation is disabled before uninstalling Codisto Connect. After uninstallation, you may re-enable compilation. You can access the compilation options via System -> Tools -> Compilation. 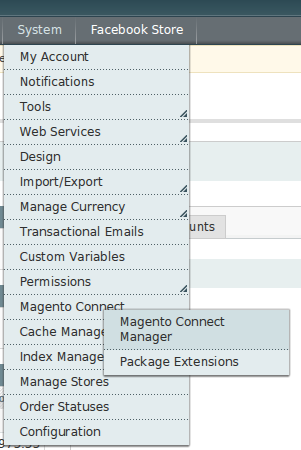 Locate the section in the Magento Connect Manager that is labeled "Manage Existing Extensions". Find the codistoconnect entry, click the drop-down selection box and select uninstall. Click Return to Admin at the top. You will now see that the eBay | Codisto menu has been removed and the extension is no longer installed.